Firstly, I by no means feel anything I say here is going to change anyone’s minds in regards to my advice or books. Why would you think this Tizzie? People have asked for further explanation for the basis of some elements of your advice - I absolutely think many are open to re-evaluating ideas should that be forthcoming. My opinions have changed numerous times over the years as I have learnt and read more, studied more research from respected sources - to be closed to new evidence and change is I think a potentially dangerous position, and one which underestimates readers. Parents hear they should try to ‘exclusively breastfeed’ their baby until six months. But on the other hand allergy experts recommend introducing solids between four to six months as research is increasingly suggesting this reduces the risk of food allergies. Exclusive breast-feeding for six months is a WHO recommendation, and is aimed at reducing serious illnesses, such as severe diarrhoea, in developing countries where contaminated water. In most of Australia, the UK and Ireland water is clean and so it’s safe to introduce solids at 16 weeks but unfortunately all the advice just makes new parents lives hard and confusing. I'm not entirely sure research is increasingly suggesting starting solids before gut closure reduces allergies - at least non I have seen. 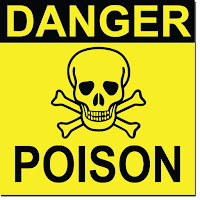 Nor is the WHO guideline purely about contaminated water (although this is a common myth/misconception). I think I have pretty much covered everything I could say on that subject here and here which address the points made. I do agree that is another area confusing for parents as discussed in my post; however UK guidance from the DOH, UNICEF and WHO is consistent. So back to blanket recommendations! If you use her special bamboo blankets that she recommends, at the max 16 layers, at approx 0.6 tog each, that would put your child under a massive, surely dangerous 13.6 tog…. to put that in perspective, the average adult duvet here in the UK is 11-13 tog, which is considered ‘winter weight.’The math here is totally incorrect. IF and I say IF a parent is using the maximum of 16 layers which when using my recommended blanket is highly unlikely the total tog rating would be 9.6 – quite a difference to 13.6!" 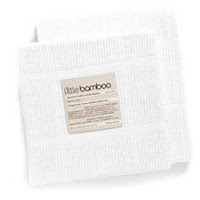 “On my calculation of the tog rating – Tizzie’s fans have repeatedly told me that the tog rating of her bamboo blankets is 0.64 tog x 16= 10.24 tog (apparently she has had them tested.) and a cotton sheet folded in 2, at approx 0.2 tog (x2= 0.4 tog). I also included in my calculations the toggage (made up word, lol) of the ‘safe sleeping bags’ that she sells, which will be either 1 tog or 2 tog, depending which one you choose, and the tog of the ‘double wrap’ which again, equates to 4 layers in itself (2 inside wrap pieces and 2 outside fold over bits) which again, could be anywhere from 1 tog to 4 tog, depending on the material used). I didnt include the tog of a vest, a sleepsuit or a nappy. That was how i worked out the approx 13+ tog. What Fleur has stated in her clarification is fine but adults also dress themselves similarly for bed, use a sheet and many adults sleep next to another person which provides extra warmth under their 11-13 tog duvets, yet we expect our babies to sleep in much less……..
Just to be clear then - Fleur's maths is correct? As when she clarifies how she came to this you state it is fine. 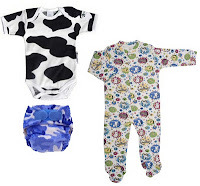 So (I think) we have 13.6 confirmed approximate tog (based on your recommended 0.6 tog blanket), NOT including a vest, sleepsuit or nappy - so can we potentially add another 3 tog there?
" My recommended range of blankets have been tested at 0.6 tog – that means we could place up to 9.8 layers of these recommended blankets over the baby. I am aware this is less than the 16 that I said was the maximum but in reality the majority of my clients don’t use that many layers. But I do not believe that a baby would come to any harm if the baby was 100% healthy, sleeping supine and with the head and face uncovered under 16 layers of my recommended blankets. You may choose to disagree… but can you show me research that can prove or deny this? Yes this would be 6 layers less than your recommended maximum (not including clothes). Whether the "majority of your clients use that many layers" is I think an aside, as using your guidance they could. It appears as though you are asking me to show research that can prove or deny your statement you don't believe a baby would come to harm under heavier tog - but with all due respect I think the onus should really be on the person giving advice to present the evidence supporting it? These differences were less pronounced in the younger infants (less than 70 days) than the older ones. CONCLUSION: Overheating and the prone position are independently associated with an increased risk of sudden unexpected infant death, particularly in infants aged more than 70 days. Educating parents about appropriate thermal care and sleeping position of infants may help to reduce the incidence of the sudden infant death syndrome. From your webpage: "In the UK parents put a lot more clothing on their babies at night, and I believe the temperature of their homes is actually warmer than the night time temperature in most of the homes I visit in Australia. In the UK they have a different type of central heating which keeps the house at a more even temperature throughout the night. I am not sure if it is even the warmth the babies like or if it is that with more layers on they feel cosier and more secure. But I do know that the extra layers can stop babies from waking at night." But surely you need to be pretty sure it's the warmth to make the recommendations you do? "We have observed that many of you have been trying to achieve the total tog of the Save Our Sleep® recommended blankets with other brand blankets but we do not advise that you do this. This is because you need to use too many layers of other blankets to achieve the same warmth as the Save Our Sleep® blankets for your baby to sleep safely." "If you do a search on the average tog of a blanket it is 1.5-2 tog, as stated above. My recommended blankets have been tog tested to 0.6 tog I have had other blankets tog tested and some blankets have come back with results of 0.2 tog and one blanket came back at 4.5 tog "
But if your blanket is 0.6 tog, compared to the average figure you quoted of 1.5-2 tog of a standard blanket, why would the mothers need more standard blankets to achieve the same warmth? Surely they would need less? You stated above 16 x 0.6 = 9.6 tog, whereas 16 x 1.5-2 (the figure you quoted as the tog of a standard blanket) comes to 32 tog based on 2 tog blankets. Are we now disputing average tog rating is 1.5-2 per blanket? "Analytical Armadillo are you trying to imply that the one and only reason I recommend layering blankets if for financial gain…..really? If this would be putting babies at risk would this not be professional suicide on my behalf…? What could I possibly have to gain from that? I am trying to keep this professional but implying financial gain is my main goal while risking baby safety is insulting." I don't think I implied any such thing, other than this is the price of the blankets and buying a lot would work out expensive. I think this is something you acknowledge yourself Tizzie as I've seen you state on FB if people can't afford the blankets they are better buying second hand from other mums than to use an alternative brand? "Secondly In order to state using different brands or more blankets is unsafe – one must have identified and proven (i.e. tested) what is safe?" "The weight of the blankets I recommend are the same as a blanket I have had tested which came back at 0.2 tog. To get the same warmth you might have to use 20 blankets but the weight would be far too much to have on a baby and in my opinion would be unsafe so this is why I suggest using the blankets I have tested because you can use less blanket which in return is less weight on the baby but the same warmth." Well yes, if you used 0.2 tog blankets it of course follows you would need more than if using 0.6 tog; however until now the average tog rating of a blanket has been discussed at 1.5-2 tog. I'm not sure how the fact yours weighs the same as one blanket you tested at 0.2 is really relevant, because according to an "average", it also has to mean a significant amount on the market are a lot warmer than 0.2 tog to obtain a 1.5-2 average? Therefore it also potentially means people could use less blankets (and therefore less weight) to obtain the same warmth as with (your recommended) 0.6 tog blanket? Say this one at 3.7 tog or the ones they refer to at the bottom of the page ranging from 1.7-2.6 - then parents could just add a thinner layer or two if required? "To get the same warmth you might have to use 20 blankets but the weight would be far too much to have on a baby and in my opinion would be unsafe" - The logic of mothers need far more of another brand is only applicable though when comparing to the specific (unidentified) blanket you tested at 0.2. "I do have evidence it is just not in a formal official paper, perhaps observations is a better term. I would be more than happy to help FSID or SIDS and Kids in Australia conduct further study into the effect of thermal layering and SIDS as long as they also investigated my belief that a cold baby will roll to the prone position as soon as he/she possibly can." Yes I think perhaps observations is the only term if you don't have "paper evidence" - because evidence is by definition something that furnishes proof which anecdotal evidence does not. I think it really is key we appreciate the difference - ie I could observe locally that the rate of gastroenteritis wasn't higher in non breastfed infants, luck of the draw could mean the group of infants I happened to deal with don't contract the illness. In contrast masses of "paper evidence" that explore large numbers to an appropriate scientific model, find that rates are increased even when numerous other factors are accounted for, and other research exploring the constituents of breastmilk fills the gaps as to why. The point is unless we know how these observations were noted, what factors were accounted and controlled for, who the study group was and so on and so forth - observations are pretty meaningless; they needed to be clearly identified as opinion, not evidence based guidelines. A number of mums on Facebook have also commented that their infants rolled prone as soon as possible completely unrelated to temperature - they did the same in the hot temperatures of Spain as they did the UK. Some also noted their children had shoulder/neck discomfort which is surely another viable reason why an infant may not want to back sleep? I'm also not sure that because an infant loses less thermal heat when prone - we can therefore assume this means they roll when cold (although it indeed may!) or demonstrates safety of increased layering supine. If thermal heat is less well retained when baby is on back - this is absolutely an interesting factor that should be taken into account when conducting research. But we also have to filter in to the big picture other associated risk factors I think, such as feeding method, central heating and also fully explore co versus cot sleeping (particularly given the experiment Sears conducted on his daughter's oxygen sats). I'm not sure we can cherry pick bits we feel are more relevant and discount the rest. "My recommendation of a room temp of 20 degrees falls within these parameters, and after my recent trip home to Ireland I will also be editing my recommendations for this area and saying that ideal room temperature in Ireland and the UK is 18 degrees. I fully support the statement that too much bedding, clothing or possibly (but not proven) more importantly the incorrect material of bedding and clothing can cause thermal stress. However my recommendations will NOT cause a baby to overheat. I clearly state in my bedding guide what signs a parents should look for in a hot baby and a cold baby and to adjust the layers accordingly. I have not found using only my recommended bedding ( a 100% cotton mattress protector, 100% cotton or bamboo sheets, all 100% cotton or bamboo clothing and only 100% cotton or bamboo blankets) within my guidelines to cause a baby to get too hot. Of course each baby is different which is why I have written my bedding guide and encourage parents to only try more bedding one layer at a time if their baby continues to shows signs of being cold." I think it's excellent you are updating your recommendation to sit with current government guidance. I think the problem is though Tizzie, that whilst you clearly state your recommendations will NOT cause a baby to overheat, mothers need hard evidence, from appropriately qualified people demonstrating this. Also the feedback from some mothers on your FB group (and on another discussing your advice) seems to be that their infants did get very hot and a not insignificant number repeatedly wriggled out of blankets. If an infant does indeed roll when cold, surely they can also attempt to remove themselves from some layers if they're hot? But tips were given to tuck the blankets in more firmly.. Also on your group when mothers have reported continued waking - an often noted response from other fans is "try another layer or two of blankets" - not "did your baby feel cold"; which would seem a much more appropriate response? Parents should be aware of the potential risks of swaddling their infant, particularly of the use of heavy materials for swaddling. Current research suggests that it is safest to swaddle infants from birth and not to change infant care practices by beginning to swaddle their infant at 3 months of age when SIDS risk is greatest. Do you make parents aware of potential risks and also clarify they should not commence this practice if they find your advice after the newborn period? Numerous studies have documented a "tranquil" behavioural state and longer sleep periods in swaddled infants [10-14]. Thus, despite the unknown effects on the risk for SIDS, swaddling is becoming increasingly popular as a settling technique in the Netherlands, the United Kingdom and the United States [15, 16]. These findings logically suggest that infant swaddling would increase infant sleep time by preventing awakening. However this may not be a desirable outcome, as the pathogenesis of SIDS is thought to involve an impaired ability to arouse from sleep in response to a life threatening respiratory or cardiovascular challenge . Arousal from sleep in infants is a hierarchical response proceeding from sub-cortical activation involving changes in heart rate and breathing, to full cortical arousal involving changes in brain activity; and this progression has been reported to be incomplete in infants who later died of SIDS . Infant swaddling has been shown to minimise arousals from sleep, crying time, spontaneous startles and the progression to full arousal [1, 12, 14, 19]. How do we know this isn't also why infants with extra blankets stop waking? Ultimately, I wonder how much is down to different fundamental beliefs about infant sleep.. Are young infants meant to sleep for huge stretches? (despite this currently being the social trend and most acceptable to the expectations of the majority of mothers, ie what sells). It's rarely what happens as the norm for breastfed infants without some sort of training, which it surely would be if that's how infants were supposed to sleep. We also know some mothers can struggle to maintain a milk supply and an infant their weight gain if night feeds cease early (prolactin levels are highest at night). In younger infants longer/deeper sleep spells have also been linked to SIDS and it seems normal, if not desirable for an infant to rouse and signal frequently. I'm not for a second suggesting anyone leaves an infant cold, but I'm not sure an infant not waking because they are hotter therefore shows this baby is more content or even was cold! Infants can sleep longer sleep spells for other reasons - a drop in calories is a perfect example. We could (as many parents do) assume the infant would wake if hungry, the fact they're sleeping long spells shows they must be happy! In reality the infant starts to conserve energy and the consequence is a long sleep spell - perhaps long sleep is a consequence of too much bedding? "I am not sure if it is even the warmth the babies like or if it is that with more layers on they feel cosier and more secure. But I do know that the extra layers can stop babies from waking at night." The expectation is sleep patterns comparable to that of an adult and if this doesn't happen there must be a reason, something that needs "fixing". Tizzie has notified me via email that she will not be responding further to any questions or discussions on this or other topics raised in her books. I have been silenced from sharing any further details as she insists the email remains confidential; the only bit I am allowed to share is that she would not be answering further questions from myself or other bloggers. Shes based her work on her opinion and is making $$$. Thats just how it first looked to me - and still does! I could write a book on my opinions and have people fall for ot! I am a qualified kindergarten teacher, have worked as a nanny and have two kids. Doesnt mean im always right. This seems like an 'expert' version of the "I know the evidence and guidelines say x but doing y never hurt my kids!" response. It strikes me as irresponsible to advise mothers, who can often be vulnerable to advice especially if baby isn't sleeping, to do anything other than follow evidence based practice. Wow, she really showing her true colours if she's not willing to enter into adult discussions about her questionable sleeping methods for infants. That says to me she is fully aware her 'methods' are potentially lethal to infants but doesn't want to be found out to be a complete charletton. Congratulation Ms Hall for proving that you ARE very dangerous by refusing to discuss your methods further. I'm afraid all Tizzie's reply tells me is that she really does have no idea what the physiological norm for infant sleep should be. As much as we yearn for our babies to sleep long stretches, we need to remember that they are human beings, and ALL humans, whether 6 weeks, 6 months, 6 years or 6 decades wake at night. When I wake, I check the room, check my husband is still there, maybe snuggle up to him and re-close my eyes. No-one is trying to dictate that I be trained out of this, or buddled up with so many blankets that I can't roll over if I am uncomfortable. Babies NEED to check mum is still there, be physically and emotionally reassured and make sure mum's milk supply is optimal. I'm afaid nothing has yet changed my view that Tizzie is yet another 'expert' who has failed to recognise that babies are human beings, with all the same physical and emotional needs of older children and adults. Sadly, it seems that we are still labouring under the Victorian delusion that children should be seen and not heard and that the needs of the adults come before those of the child. We may have stopped setting them to work in factories or sending them up chimmneys, but the underlying view is that it's too much trouble to parent 24 hours. Unfortunately, motherhood isn't shift work! However, we can night-parent safely while maximising our own sleep and providing the environment for optimal health and development of our children - by remembering how our ancestors did it, and looking to see how 90% of the worlds mothers still do it. I suggest Tizzie engages in some anthropological research - she may be interested in looking at a society such as Japan, which has such low rates of SIDS they don't even have a name for it, and come tell us how their babies sleep and spend their days. Perhaps, just perhaps, if a baby is denied his birth-right of unrestricted access to the warmth of his mother's body, that we'd have to compensate for that somehow. The problem is that whilst a mother's body will change temperature according to the baby's needs (nature's incubator), a blanket or cot will not. If there was a like button I'd use it. Rosie's comment and Doulamaddie have both written excellent posts. I think the fact she refuses to enter into any more replies speaks volumes about her confidence in her own techniques. As a result, I do hope the FSIDs push her further on her research in the interests in safety. Anybody who knows they are right, will continue to argue their point, backed up with evidence. Sadly, the fact that she is refusing to do this tells me that she has no argument. The sad thing is, she has followers that are putting their children at risk, because they see her as a professional, when she has no more qualifications then you or I. If she is not "officially" held to account for her methods, I think it sets a very dangerous precedent. I would have expected more from a "professional" to be honest. Although I'm wondering if she has sought legal advice and been muted by her solicitor? After all, her replies are so full of contradictions and "observations", that due to the subject being the safety of babies, she has been told to not reply? I can absolutely understand her refusal to investigate and discuss this further, as it may lead to findings in exact opposition to her observations being mentioned, making them more accessible to potential and current clients of hers. This would be where the saying 'Any press is good press' stops applying to her business. Well, someone took their toys and went home. Not surprising. I don't know much about this Tizzie person (I'm in Canada)but she sounds like she can talk a good game til someone calls her on her BS. And seriously, all of this "tog" talk confuses me. I put jammies on my babies and a light blanket if they sleep alone, just jammies and a sheet if they sleep with us. I have one crappy sleeper who didn't sleep a 5 hour stretch til he was 2 and one great sleeper who's been STTN since day 2. I'm very disapointed that she no longer wishes to discuss this. She has clarified nothing in her response except that its just her opinion and that she has nothing to back it up. I am far more suspicious of her and her motives now and not at all reasured by her response. This is the first I've read in any depth about Tizzie Hall and her recommendations. Although aware of the online furore through this and other blogs, I've mostly avoided finding out more as I dismissed her recommendations as dangerous bunkem to which I would never pay attention (despite being wedged firmly in some sort of sleep regression with my 19 month old). Accepting that I don't know much about it, I therefore read this with as open a mind as I could manage. Unfortunately TH's response has done nothing but reinforce my view that she is offering up opinion poorly disguised as fact. With no sound scientific evidence, poor calculations, conflicting statements and refusal to participate in further debate all lead me to think that TH is not only peddling myth and assumption but that she is also seeing the cracks appear in her 'sleep empire' and realising it is built on decidedly shaky ground. It speaks volumes to me that she refuses to enter into any more debate on any of the subjects raised. These are genuine concerns from parents and she is alienating a whole section of society. I don't believe she can back up her claims with any kind of solid, scientific and properly researched evidence, which is why she censors her FB page, insists people pay for her forum and refuses to substantiate her claims. She is a very dangerous woman imo, and SOS is quickly becoming a cult, where members turn on each other if they dare to question the exhalated Tizzie. I am disappointed that Tizzie will not be replying further as I do believe some good points were brought up but regardless of those points I do believe that she should state her research or where her recommendations come from.. Tizzie - why havent you addressed WHERE the number of 16 blankets came from?! I think you are damaging your reputation further by ignoring this points or not including the research YOU looked at! Its seems that you are being quite defensive and you have NO reason to be if you have the research. As a first time parent I do follow your advice because I agreed with the majority of it and it seemed all fairly reasonable but the lack of further response has made me question whether I am following blindly. It really does disappoint me as now I have lost confidence in the only person who I saw as talking sense and now I feel as lost as when I first had my newborn in my arms! Please for your readers and fans could you just state where the number came from and what evidence do you have to support this number as being safe - now this point will always be brought up by those who disagree with your methods and we have nothing to say in defence which is deemed reliable! Surely you can see that you have belittled your own advice by ignoring the questions asked and then when this is pointed out again as something you havent addressed it is almost childish to refuse any further responses - You have lost a fan today Tizzie and made yourself seem very ignorant as well as someone who's advice is unreliable and if that is not the case then how come you haven't addressed the points made or use solid evidence to back your claims up. We know the majority may not follow your advice to a T but the point is that you have stated these claims and the question is just where did it come from and what back it up because people could POTENTIALLY follow it or use it as a guideline when using LESS than 16 layers & maybe thinking that it was a lot of layers&unsafe but ignoring their intuition as it IS less that what you have said was safe so they feel their worries are unfounded.. PLEASE STICK UP FOR YOURSELF TIZZIE OTHERWISE I WILL NOT BE THE ONLY PERSON TO THINK THAT WITHOUT EVIDENCE IT COULD BE THE BLIND LEADING THE BLIND..
My 2 1/2 month old daughter has never slept through the night, or for long stretches for that matter, whether swaddled or not. We do co-sleep, and she often sleeps chest to chest on me - she likes being in my arms, and sleeps better slightly upright - sometimes she snuggles into a blanket, sometimes she sprawls all over. She's a comfort nurser, cat-napper by day, and may go for 2 hours at night without nursing...she usually nurses every hour. And she needs to!! She had low blood sugars at birth due to my gestational diabetes, so her growing little body needs food - and a lot of it, a lot of the time!! Also, she has trouble with spitting up if she goes longer than 2 hours between feeds, so the frequent nursing helps her keep her tummy happy - she knows exactly what she needs, and being her mama, I know that I am here to fulfill those needs WHENEVER she has them!! My hubby and I invited this sweet little girl into our lives, knowing it would bring lots of changes...what happened to instinctual parenting? To listening and responding to your baby/babies? And each one is so unique and different...I could go on and on!! @Shianne it sounds like your bub needs to see a Doctor, for reflux....You do realize sleep is just as important as feeding your baby and sticking your breast into your babys mouth everytime YOU think it needs it or everytime you think your baby thinks it needs it. Everymother uses there instincts one way or another but 'only' using them is quite frankly abuse. Anon I can only assume you are a bottle feeder from the comment "sticking your breast into a baby's mouth". Breastfeeders do not stick a breast anywhere, a baby has to choose to latch to the breast. Feeding little and often is a common recommendation for reflux for those who want to avoid medications and feel they are all coping well without. I do agree there are avenues Shianne could explore if she desired, to establish if there were other reasons why (perhaps a tongue tie or retained moulding/compression), but to suggest Shianne responding to her infant is abuse is quite frankly rather bizarre. It saddens me to think that this mother and possibly many more out there, feel lost without these books giving them step by step instructions, when in fact these books do NOT have all the answers or all of the correct information and should not be sold as a cure all. Why should she feel like she's back to square one!!??? She should feel confident in herself and her own decisions, knowing that she is doing the right thing for her baby and herself. I think it's important for mums to realise that parenting is not like a test where we need to get it 100% right to get the best outcomes and praise, we are all bobbing along trying to do the best we can and sometimes that means getting things wrong, i know i have!! But those experiences have helped me improve as a mother. I would like to say to you Anon and anyone else who feels like her, you are a fantastic mother! The fact that you have bought books and looked up info on the web, shows that you are someone who cares greatly about the way you bring up your baby and you are trying to do the right thing. You need to have confidence in yourself, in your ability to be the best mother you can be without looking to books full of someone's opinions. You are doing a great job, and your a wonderful mother!! You should believe in yourself. Like any advice surely it's up to the parents to choose what they will take. Raising children is a case of trial and error a lot of the time and you just have to find what works for you. I was having a terrible time getting my 5 month old to sleep in the day or night and it was making us all miserable. I trawled the internet for advice and came across Tizzie Hall's website. I purchased one of the routines, put it into place, increased the number of blankets I used (though not as many as Tizzie suggests) and from that night he slept through the night. I was so impressed I bought the book. Within a couple of weeks he'd also settled into a fantastic routine during the day as well. So now, following Tizzie's routines, my breastfed 9 month old goes to sleep within minutes of being put down (unless he's teething or having a growth spurt! )and he's incredibly contented. I don't agree with all of the advice but I choose to follow the bits I do agree with. I just think it seems a shame to slate someone for advice they're giving, as this is all it is. For every piece of advice there is, there's another that will contradict it. So it's up to us as mothers to decide what's best for our babies. Have any of you actually tried the advice she's giving before being so negative about it? i'm in the US, so this blanket tog-rating is new to me; i'm finding this quite interesting. I think there must be a huge gap between parental expectations here, so wide that some parents don't even realize that not all parents have the same goals, as evidenced by anon above's quote, "Have any of you actually tried the advice she's giving before being so negative about it?" no, i would not try this blanket layering advice because i don't *want* my baby to sleep through the night - i know she's safer waking up than going into deep sleep for many hours in a row. further, i know she'll gain weight better if she nurses at night. these kinds of discussions also remind me of how far off people can be regarding babies' biological norms... like this quote: "But I do know that the extra layers can stop babies from waking at night." But do babies really need to be stopped from waking at night? How does that factor in with a baby being safe? It's like there is such a denial of normal infant sleep to the point that even when people acknowledge that SIDS is a health/safety issue, rather than trying to figure out what might contribute to it, they instead want to continue trying to make babies sleep like adults do in "the safest way possible," when in reality, the safest way for babies to sleep is for them to *not* sleep like adults!